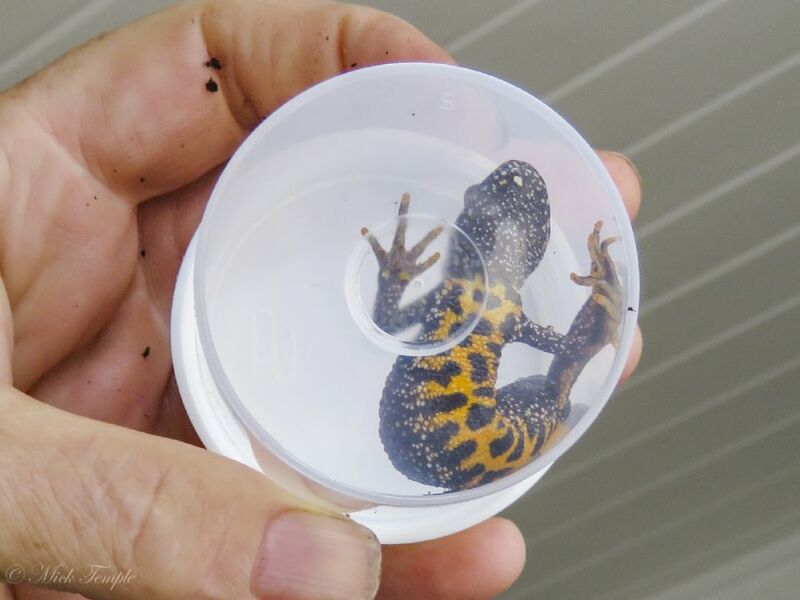 Quick on the heels of my Alpine newt find, when clearing out the greenhouse I came across the amphibian below under a piece of plastic. 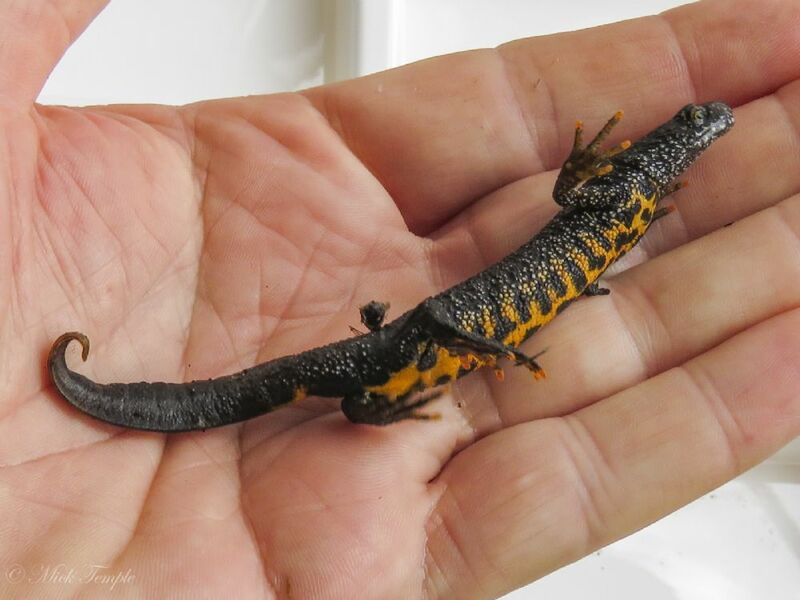 About 12 cm long. 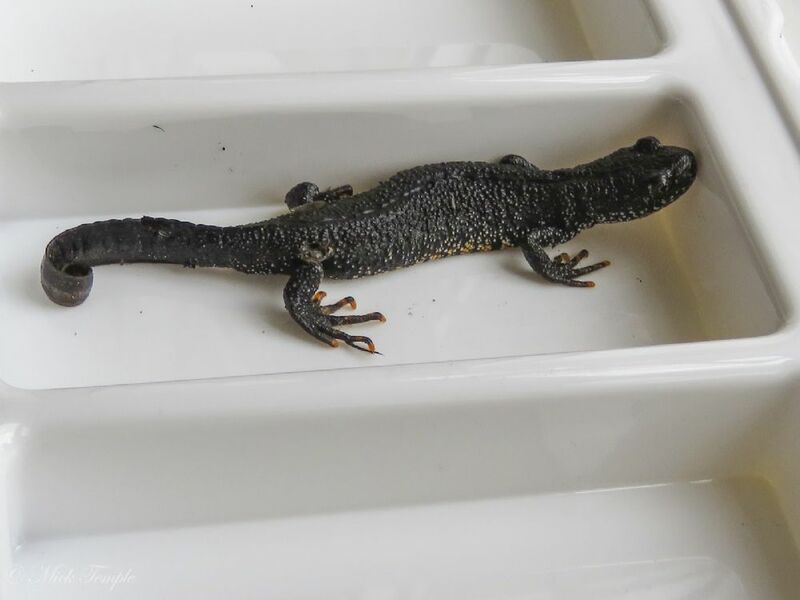 Looking at the ID section on this site seems to match with a terrestrial phase GCN - a female? I have found ones like this around the garden in the past, though not for some years. Any advice - other than put it back and leave it alone? I know they are a protected species. Edit: Again I seem to have uploaded one photo twice. I can't seem to see how to delete one. For the future (sigh) how can this be done please? I'm getting jealous. It is OK to handle them to move them out of harms way as in your case. But yes terrestrial stage GCN. If 'intentionally' setting out to handle them, one requires a licence. Thanks Gemma, I have reported it on the SARG website and released it. 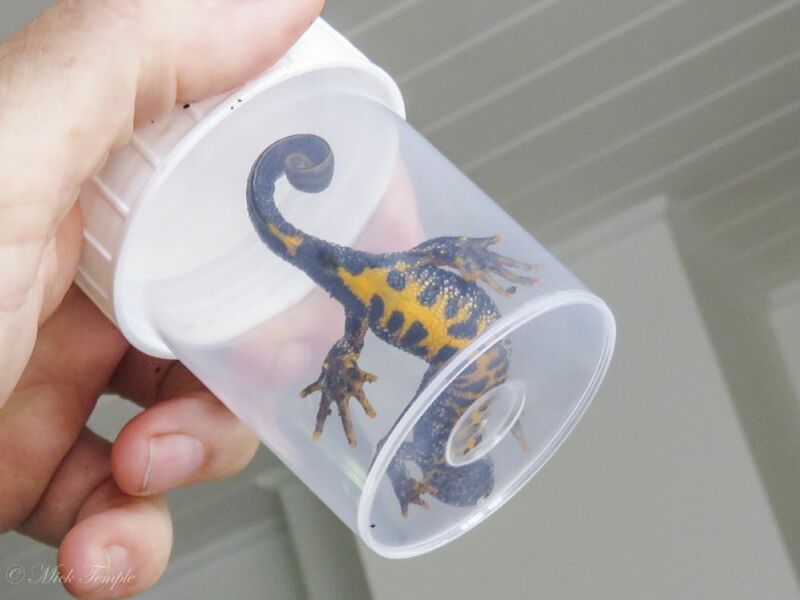 a terrestrial phase GCN - a female? Looks like a male, as it has a tiny crest along its back, and a faint light patch on the tail. These will probably develop into a full crest and a white tail-flash next season.